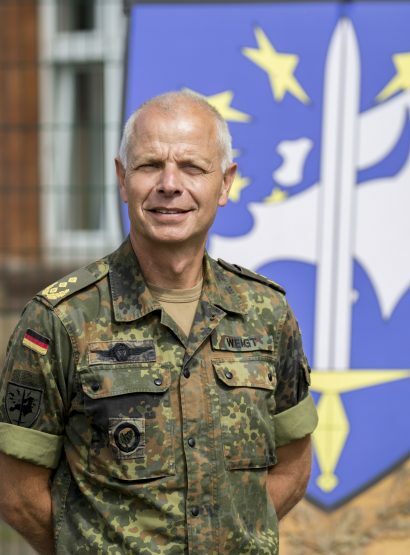 The current COMEC is German Lieutenant General Jürgen Weigt. He took over this post 07th September 2017. The Commanding General of Headquarters Eurocorps (COMEC) is a three star General from one of the Eurocorps Framework Nations. 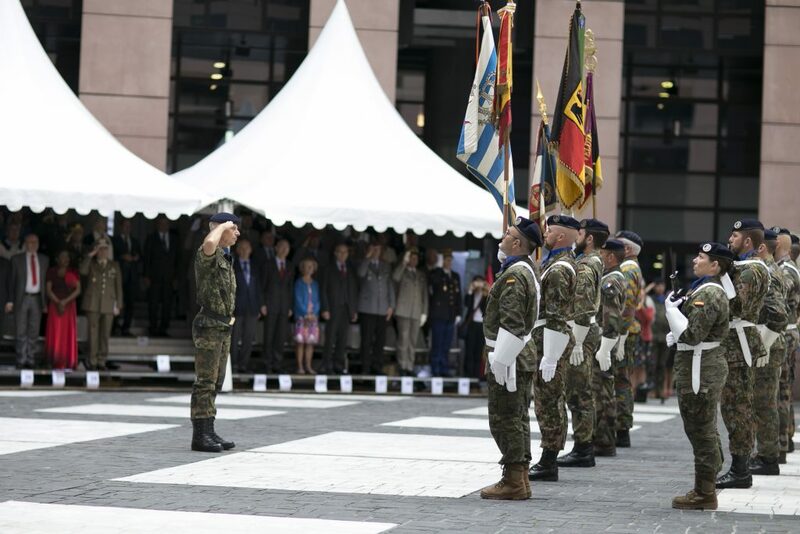 His command is exercised from Headquarters Eurocorps (HQ EC) in Strasbourg, France. The post of Commanding General is filled on a rotational basis of two years. He is responsible to the Eurocorps Common Committee, the political-military decisive body representing the Framework Nations. Lieutenant General Jürgen Weigt was born in Ochtendung (Rhineland-Palatinate) on 14 November 1957. In 1977 he joined the Tank Battalion 144 as an officer candidate. After the officer training he completed a course of academic studies in educational science at the University of German Armed Forces in Hamburg. Afterwards he held different assignments in an Armored Brigade, where he was promoted to the rank of Captain in 1986. 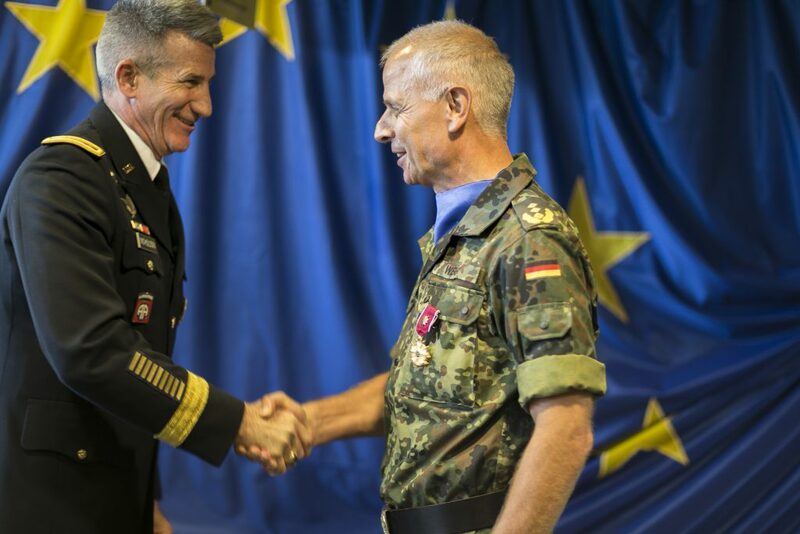 Following his participation in the 33rd Army General Staff Officer Course at the Bundeswehr Command and Staff College in Hamburg, in 1992 as a Major he was posted to the Army Staff, Federal Ministry of Defence in Bonn. As a Lieutenant Colonel, he became the Chief of the G3 Branch in the Tank Brigade 34 and, following this assignment, he commanded a Tank Battalion. Following further assignments in the Federal Ministry of Defence, he served as Branch Head G1 in the Army Office in Cologne, where he was promoted to Colonel in 2003. Afterwards he was appointed Branch Chief, Personnel, Social Services and Central Affairs Directorate I in the Federal Ministry of Defence. Subsequently he commanded Tank Brigade 21 “Lipperland“ in Augustdorf where he was promoted Brigadier General. 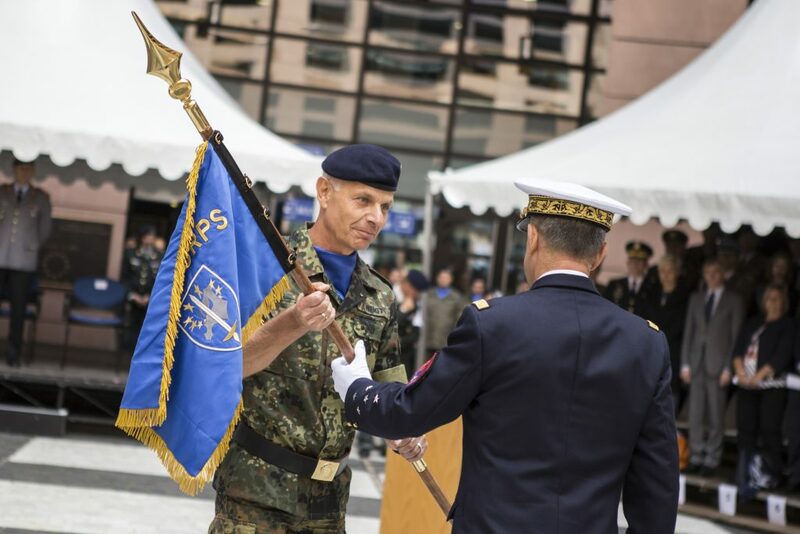 Following an assignment as Deputy Chief of Staff Operations RFOC in Ulm, he took over command of the Army officer school in Dresden. Subsequently, promoted Major General, he was appointed Commander Leadership development and Civic education Centre in Koblenz. Previously, Lieutenant General Weigt held the post of Chief of Staff, Resolute Support Mission Afghanistan in Kabul. 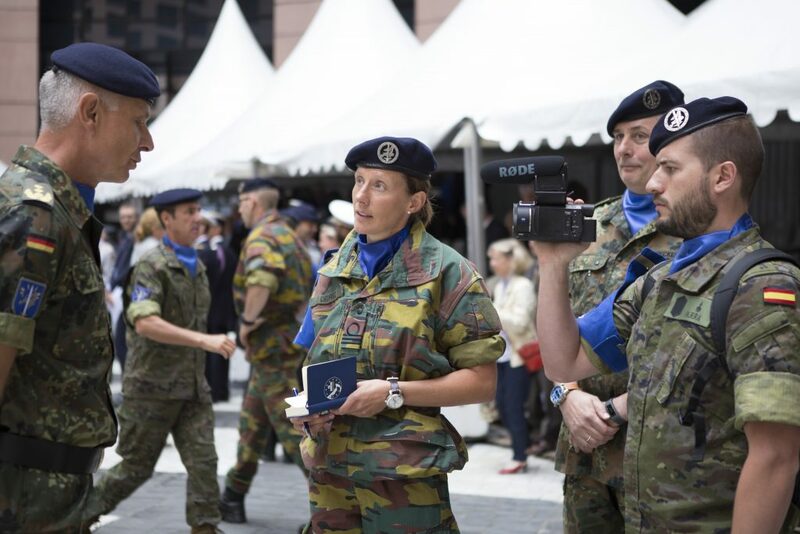 Since 7 September 2017 he is the Commander of Headquarters Eurocorps. During his military career he participated in United Nation mission in Former Yugoslavia as well as in several NATO led missions in Afghanistan (Commander RC North, Mazar-E-Sharif, Deputy DCOS Stability, DEU NSE HQ ISAF, Kabul and Chief of Staff Resolute Support Mission Afghanistan, RS HQ Kabul). 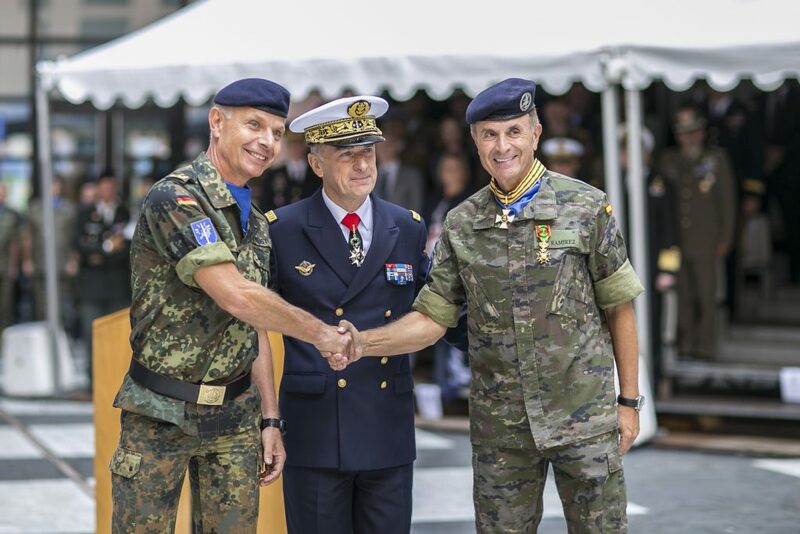 Lieutenant General Weigt’s awards include international and national decorations.